The region between the Po Valley to the north and the Apennine Mountains to the south has been settled since ancient times due to its fertile soil. The Romans connected the area to the capital with a long, straight road heavily travelled through the Middle Ages by merchants and armies. 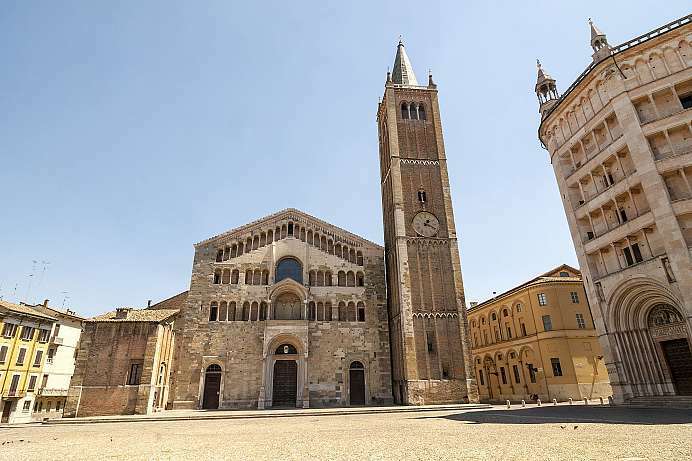 The rich agricultural produce soon led to the rise of flourishing communities like Parma, famous for its cheese and ham products and today one of Italy's most beautiful cities. Numerous medieval castles and castle ruins can be found along the ancient trade route. 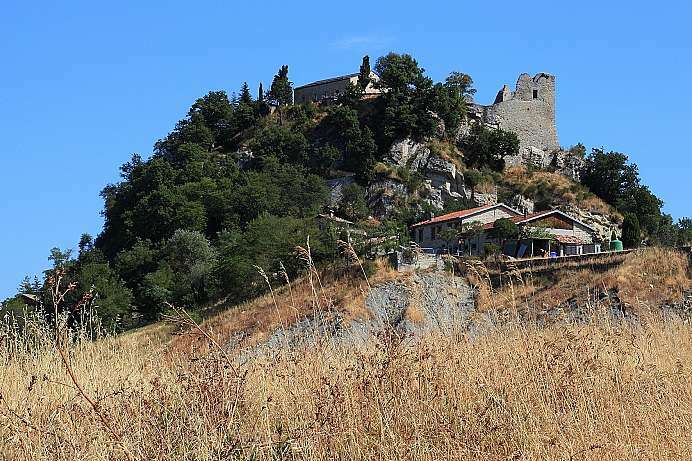 The most famous of these is Canossa Castle, where the excommunicated Emperor Henry IV was forced to appear before Pope Gregory VII in 1077 wearing a hairshirt as a symbol of repentance. Over the centuries, Bologna has acquired many nicknames: “Bologna the learned” (“Bologna la dotta”) is a reference to its famous university; “Bologna the fat” (“Bologna la grassa”) refers to its cuisine; and Bologna the red (“Bologna la rossa”) alludes to the supposed political bias of its citizenry. 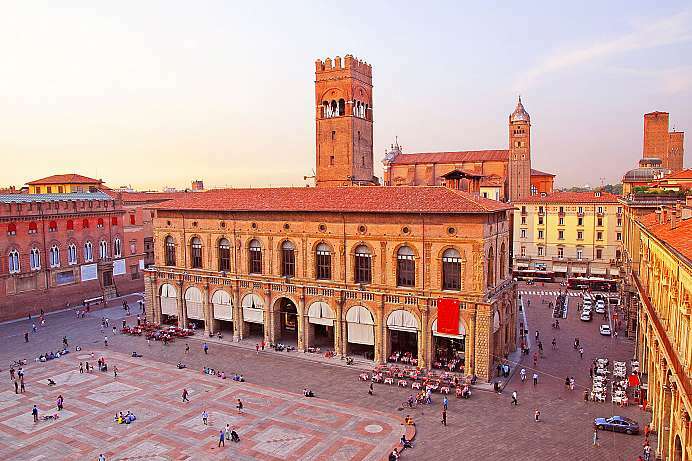 Bologna is renowned for its culinary tradition and is regarded by some as the food capital of Italy. With nearly 40 kilometers of Portici, the semicircular archways, Bologna has a unique cityscape. The strategically situated castle at the edge of the Apennine Mountains was the scene of a memorable encounter between the Emperor and the Pope in 1077, which went down in history as the “Walk to Canossa”. Henry IV. had contracted the anger of Gregory VII. over the so-called investiture controversy, which ended in Henry being anathematized. The emperor had no choice but to cross the Alps in penitential robe and to ask for mercy in front of the castle for a whole, bitterly cold week. Thereupon Gregory had to take him back into the church. Today the castle is a ruin. A small shop serves as a reminder that the place once was the focal point of world history. This protected area lies along the Apennine ridge in Toscana and Romagna. 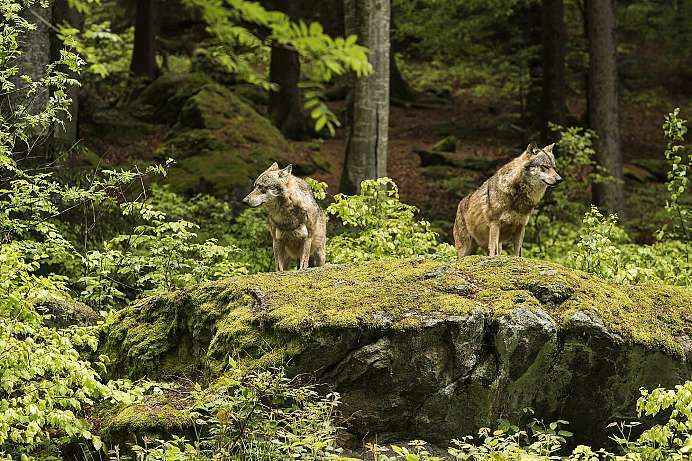 Its woods are considered among the largest and the best preserved in Italy, and house a rich variety of flora and fauna, such as wolves and golden eagles among predators, and many species of ungulates. The forests and a number of natural habitats of the area are rich in traces left by man during the centuries: by walking in the Park, tourists can see small villages with stone houses, mule tracks, and above all the two charming sanctuaries of Camaldoli and La Verna. In the Middle Ages the city on the north banks of the Po was just as important as Florence, Milan and Venice. The old town has been preserved in its entirety and is enclosed by a nine-kilometer long city wall. The car-free Citta Vecchia surrounding the mighty moated castle is a UNESCO World Heritage Site. Originally, the river Po entered the Adriatic Sea at Venice. The river brought rubble and debris into the lagoon of Venice, threatening to silt up the lagoon. In the 17th century the river was channeled by an artificial riverbed to the south of Ravenna where a new cultural landscape of dikes, dunes and flood beds developed. 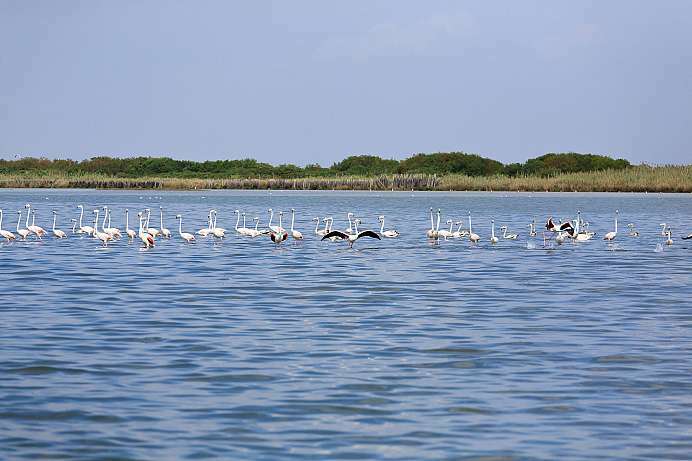 Today the area is a birds paradise for over 370 different species. Parmesan cheese and Parma ham have made this city in the Po Valley famous. 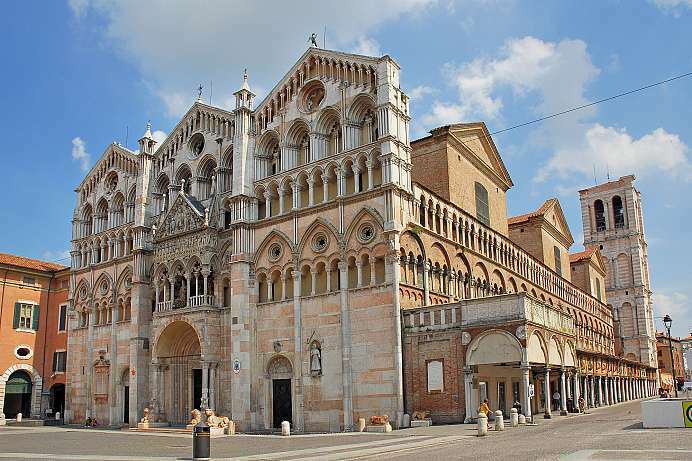 In fact, Parma has many culinary delights to offer, of which the many trattorias in the old town bear witness. 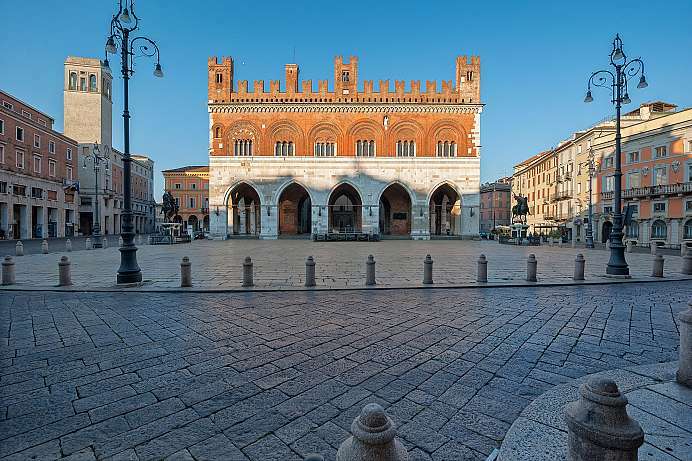 In the center of the city is the 2,000 year old Piazza Garibaldi with the palace for the governor, the octagonal Baptistery of pink sandstone and the Romanesque cathedral. For art historians the fresco in the dome's interior is especially interesting, where Mary’s rising to heaven is depicted with perspectival tricks so that it seems almost three-dimensional from a particular viewing angle. Originally this Roman imperial city in northern Italy was located at the sea. Today the coast lies seven kilometers further east. The port of Porto Corsini can only be accessed by a ten-kilometer canal. 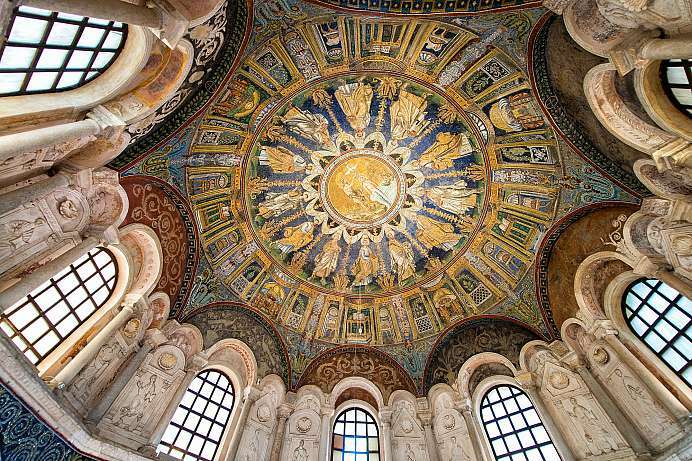 Ravenna's heyday was experienced in the 5th and 6th centuries, as the ancient world began to Christianize. Many mosaics have been preserved which embody the spirit of this transitional period very well, for example in the Battistero Neoniano, the Orthodox Church. At the center of the city is the Piazza del Popolo (People's Square) where you can enjoy a delicious cup of cappuccino.